Enjoy great food? Love wonderful service? Want to enjoy an amazing adult-only dining experience, but you don't have the money to visit Victoria and Albert's at Walt Disney World? Relax -- there is another Disney restaurant that's almost as good and it won't cost you a fortune. In fact, it's exceptionally cheap. All you have to do is climb aboard either the Disney Magic or Wonder and it's waiting there for you. It's Palo! Palo is located on both ships on deck 10 aft and it's an exclusive place. You won't get in unless you're over the age of 18 or if you're wearing jeans. Men are expected to wear jackets and ties and dresses for the ladies won't be out of place. The second you walk into the restaurant, you immediately leave the rest of the ship -- and it seems the world -- behind. This is a peaceful place, with just the bustle of the kitchen and low levels of conversations from the tables, scattered throughout the restaurant. Venetian masks are hanging on the wall as you enter, with Murano glass around you, if you look closely enough. The trouble is your eyes will probably be drawn elsewhere, to the beautiful ocean views through the floor to ceiling windows that surround the restaurant. This is something you might want to keep in mind when booking your date at Palo. We find that the best nights to enjoy a meal there are actually when the ship is in port, as that's where you can often find the most beautiful backdrop. Don't forget that if you do dine here while at sea and you hit a rough night, you may end up having to miss one of the finest parts of the Disney Cruise Line. The real hit here is the food, featuring Northern Italian cuisine, fitting in with the theming of the restaurant. The menu will usually start with a choice of pizzas, which are deliciously light. It's worth keeping an eye out for the chef's special, as they have some superb toppings. In the past, we've enjoyed pizzas with roasted red peppers, shrimps, mozzarella and pesto. Even writing those words make me feel hungry! The menu also offers a selection of appetizers, salads and soups, with highlights such as mozzarella and tomato salad, grilled Portobello mushrooms and their signature dish, the calamari. Once you've sampled it, no other calamari will ever taste as good as this -- and we've still not even reached the main course yet! Speaking of which, these tend to include a wonderful selection of meat, fish and pasta dishes and we've yet to find anything here that we didn't like. It's worth trying the chef's specials, as this are usually out of this world. They're not listed on the menu, but your server will take you through them once you're seated. Then it's on to what many people -- myself included! -- consider to be the best part of any meal, dessert! Again, Palo has a signature dish, the chocolate souffle and if you have a sweet tooth, then you have to sample this. You'll need to let your server know in advance if you're interested in it, as it takes some time to prepare. On occasions, when we've come to order dessert, I've been told that the finishing touches are being put to my souffle, although all I'd said earlier in the meal was that I might be interested in it if I've got enough room. That's certainly something you don't need to worry about. Like any good meal, the portion sizes are perfect, so that you can have an entire meal, including dessert, and just feel comfortably full. And like any good restaurant, the servers are full of advice and suggestions for you. They know exactly what to recommend for your tastes and are very perceptive when it comes to working out what you might want for dessert, as we've found out first hand in the past! From talking to the servers, it's clear that their high level of expertise is no accident. These guys have usually worked their way up from other restaurants on board the Disney Magic or Wonder. In all the times we've eaten dinner at Palo, never have had we had any complaint about the quality of service we've received. In fact, we've never really had any complaint about anything! It really does remind us of a much cheaper version of Victoria and Albert's, with perfect food portions for each course, servers who are at the absolute top of their game and a wonderfully romantic adults-only atmosphere in a beautiful setting. So what are you waiting for? If you want to grab dinner while you're on board, then you need to be quick, as Palo is exceptionally popular with cruisers and with good reason. You have two options -- you can either book online ahead of time or as soon as you get on board. Booking online opens 105 days in advance if you're lucky enough to be in a category 1-3 Suite, 90 days ahead if you're a returning cruiser with Disney and therefore a Castaway Club member and 75 days in advance for everyone else. Online reservations open at midnight Eastern Time and fill up quickly. Don't worry if you can't get anything ahead of time -- they always leave some bookings available to be booked the first afternoon aboard. Check your Navigator for details on where to book. 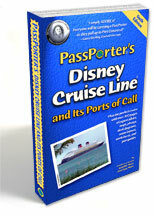 Disney Cruising: Not Just For Kids!